Saute and bake - that is how this delicious meal is prepared. 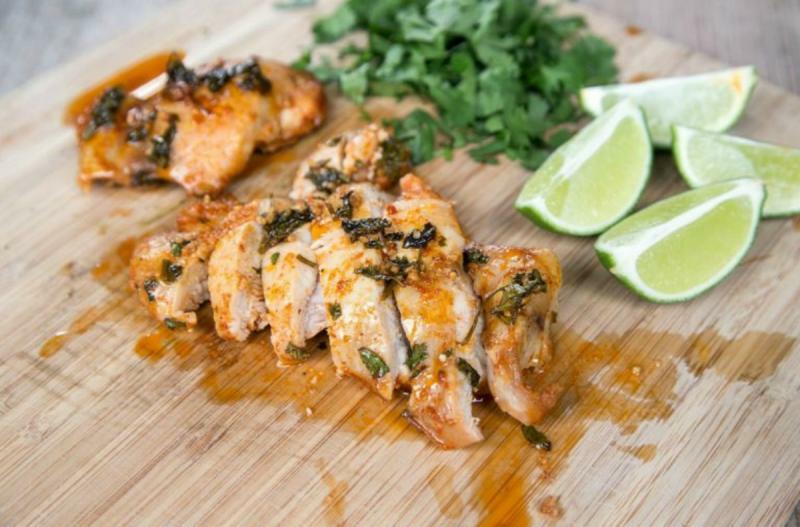 We will saute the chicken in a delicious marinade, then bake in an ovenproof skillet to perfection. Juice both limes. Chop cilantro. Over high heat, brown both sides of the chicken thighs with the marinade in an oven-proof skillet or castiron skillet. Once browned, place the skillet into the oven and bake for 25 minutes, or until chicken is cooked through. Carefully remove hot skillet from oven and then sliced the chicken. Serve Cilantro Lime Chicken with rice and veggies. Chop about 2/3 cup cilantro. In a large mixing bowl, whisk together 6 Tbsp canola oil, juice from 4 limes, 2 Tbsp brown sugar, 8 tsp minced garlic, 2 Tbsp chili powder, 2/3 cup chopped cilantro and salt and pepper. Put baggie in the freezer and freeze up to 6 months in fridge freezer or 12 months in a deep freezer. Thaw in the fridge overnight, or a warm bowl of water for about 20 minutes, before transferring to the skillet for browning and baking as directed. 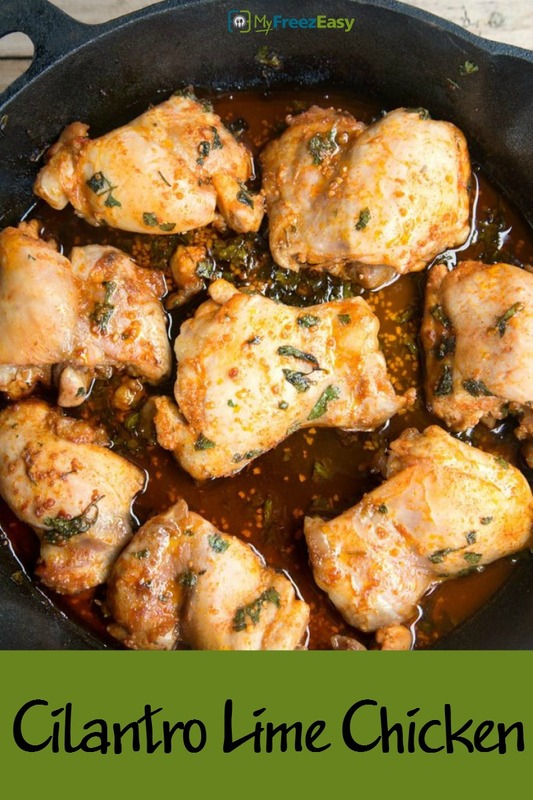 Thaw chicken in the marinade and transfer to oven-safe skillet. Brown the chicken thighs on both sides, then bake at 375 F for 25 minutes.